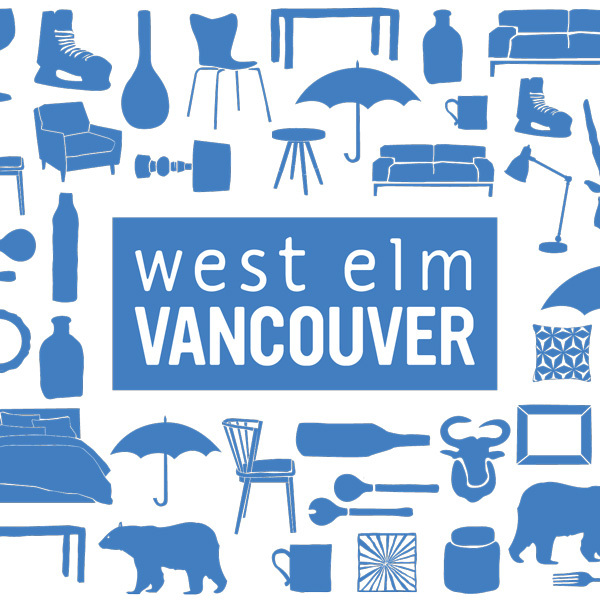 You heard it here folks......west elm Vancouver is opening September 13.
that's exciting stuff! I'm dying to get to their Toronto location....can't wait! I was beyond excited for all you Vancouver Ladies when I read this in one of my magazines the other day. You are soooo lucky! Just in time for my birthday! Yaya! you mean I won't be restricted to what can fit in my suitcase anymore? That's great news! Love West Elm. Hope you have an Asst Mgr like our "Neil" here in TO - he is super fab and makes the shopping experience even better! Great news! Another stop to make on my visits to the other side of the Straight!!! It is one of my favorite stores! congrats! oohhh, how exciting! Love West Elm! They still don't have one near us in Connecticut!